Professor Fabio Babiloni holds a PhD in Computational Engineering from the Helsinki University of Technology. He is currently Professor of Physiology at the Faculty of Medicine of the University of Rome “La Sapienza”, Rome, Italy. 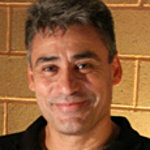 Professor Babiloni is author of more than 185 papers on bioengineering and neurophysiological topics on international peer-reviewed scientific journals, and more than 250 contributions to conferences and books chapters. His total impact factor is more than 350 and his H-index is 37 (Google Scholar). Currents interests are in the field of estimation of cortical connectivity from EEG data and the area of BCI. Professor Babiloni is currently grant reviewer for the National Science Foundation (NSF) USA, the European Union through the FP6 and FP7 research programs and different European agencies. He is an Associate Editor of four scientific Journals,“IEEE Trans. On Neural System and Rehabilitation Engineering”, “Frontiers in Neuroprosthesis”, “International Journal of Bioelectromagnetism”and “Computational Intelligence and Neuroscience”.